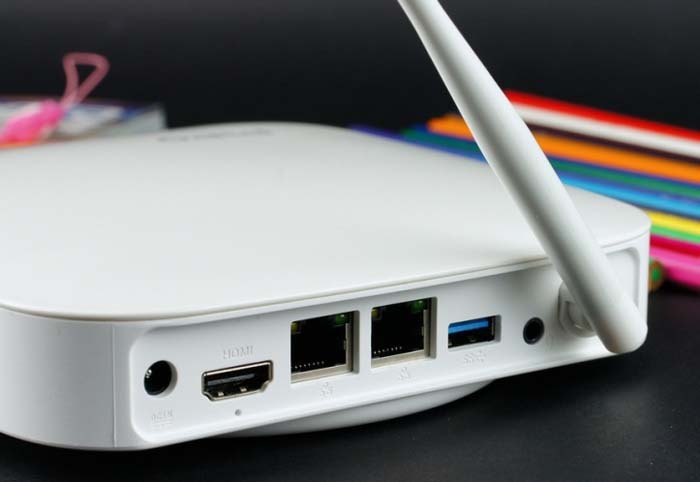 Recently mini PC TV Box has been very popular for its small size with lower power consumption. 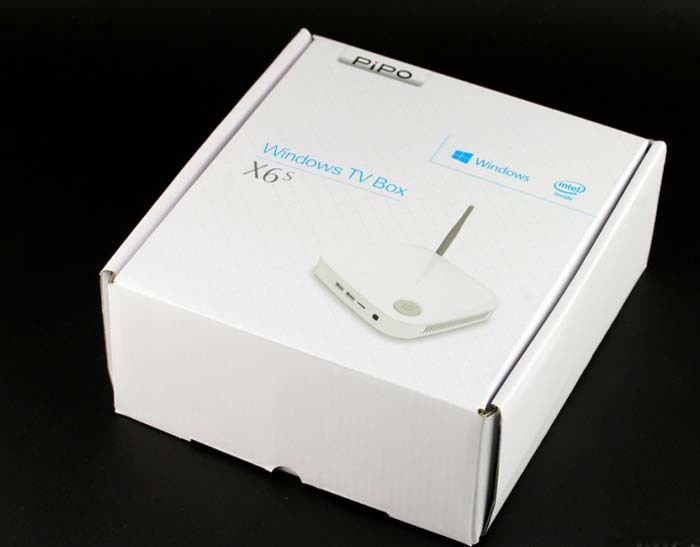 X6s still adopts the same white package box as the previous PIPO X9, PiPO X8 TV box, with beautiful printing & simple design. From the back of the box, we can see that there are black and white two colors versions. 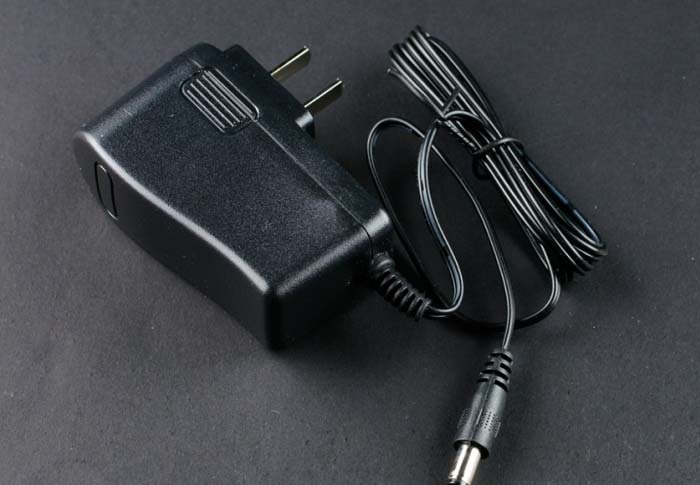 PiPO X6S standard accessory is the Power Adapter, as for the HDMI cable, you need to buy on your own. 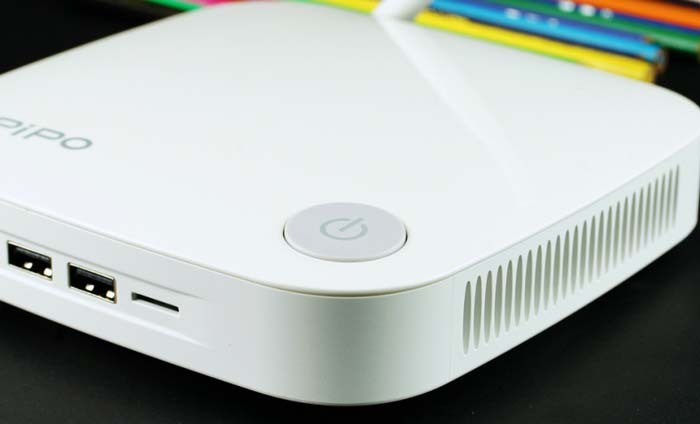 X6S is a small round square box, with milky white fuselage, rounded corners make it look very cute. 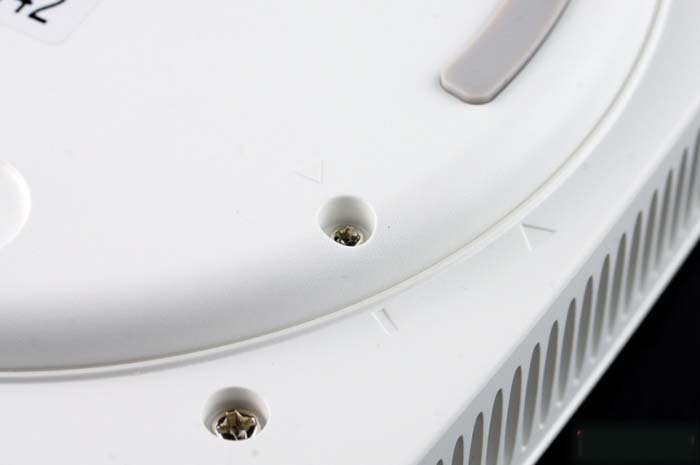 The full body design is very simple, only with a huge power button, interfaces and the Vents port. At the front of the TV Box, there are two USB ports, and one TF card slot. At the top of the right corner, is a large Power button. When powered on, the indicator will light up. 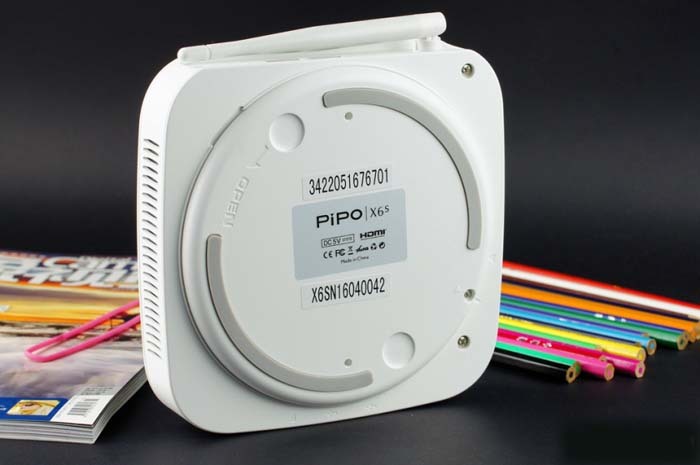 Pipo X6s has a lower heating power, and adopts the fanless design, which can meet the need for cooling with the vents ports on both sides. 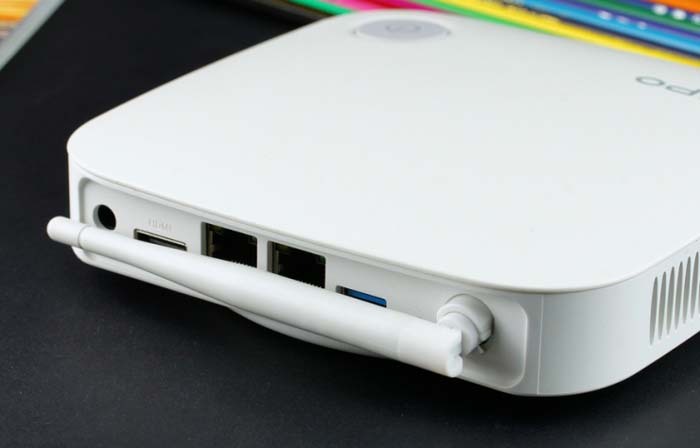 X6S mini pc has rich interfaces, from left to the right are DC port, HDMI output port, 2x LAN ports, one USB 3.0 port, and the 3.5mm earphone jack. 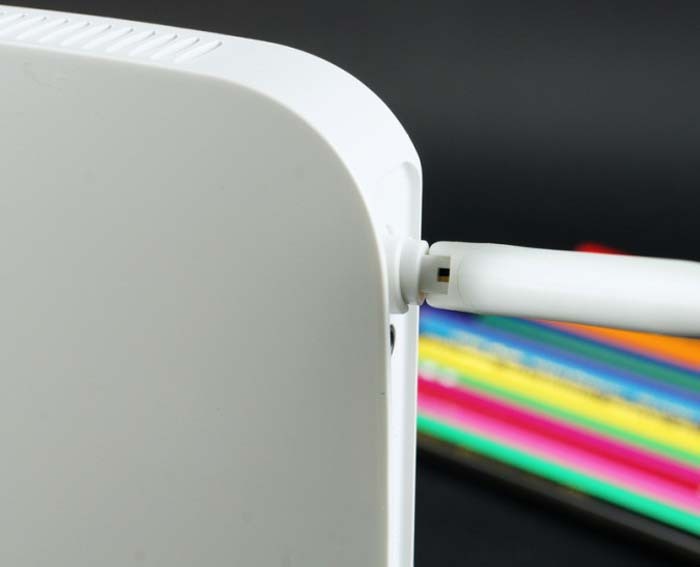 Especially, it has 3 USB ports, for most users, it is sure to meet their daily demands. The bottom cover of the X6S can be opened, you can see there is a rotating open tip on the back. 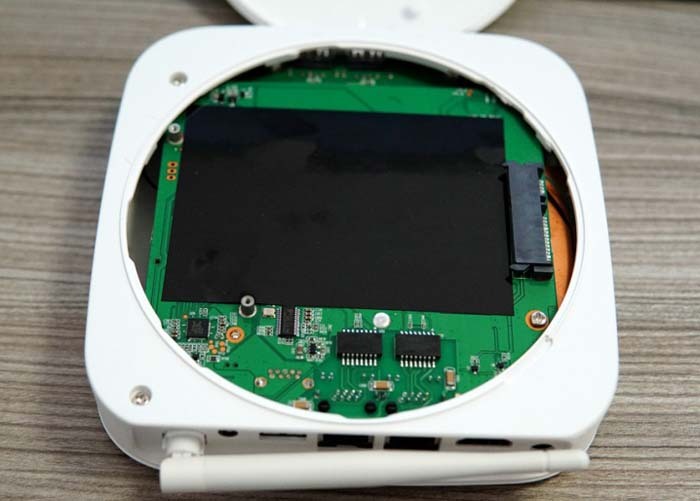 After opening the bottom cover, you can see a 2.5-inch hard drive installation position, SATA interface, you can install an HDD or SDD hard drive. 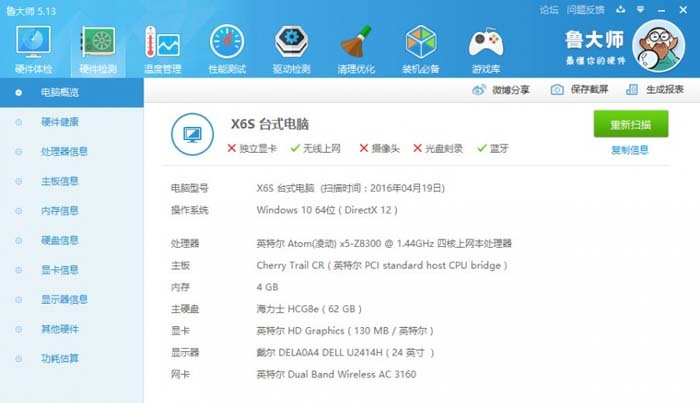 X6S TV Box is pre-installed with Windows10 Home Edition OS, there is no difference as the computer. It is carried with Intel Atom X5 Cherry Trail Z8300 processor, has 4GB RAM, pre-installed with genuine operating system, and has been adctive by default. 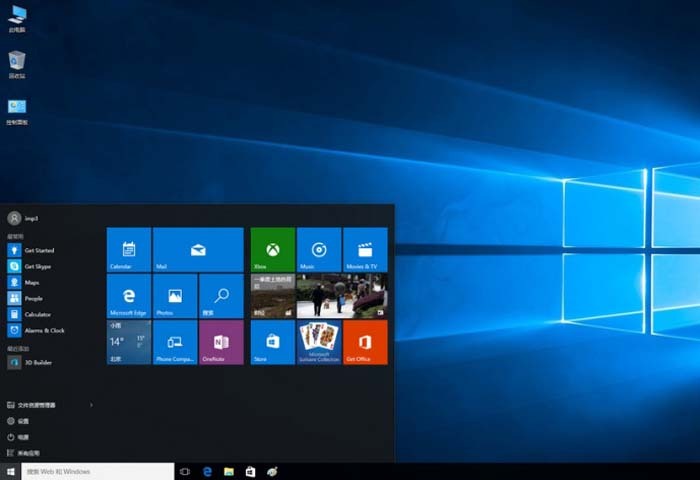 The lack of storage is the common problem of most Win10 tablets. However, you no need to worry, the storage of this device, for it is built in 64GB ROM, except for storage that the Windows OS and apps will take, there are still about 46GB spaces left. Moreover, you can also install a 2.5 inch hard disk by yourself, which has a much faster read speed and larger storage than ROM storage of this device and TF card as well as the U disk. On the configurations, compared with the mainstream tablet pc on the current market, PiPo X6S has almost the same specs. It uses Intel Atom X5 Z8300 CPU, with quad core design, main frequency can reach up to 1.83GHz, integrated Intel HD Gen8 graphics, and equipped with 4GB DDR3 RAM + 64GB eMMC. Here is the Memory speed test. 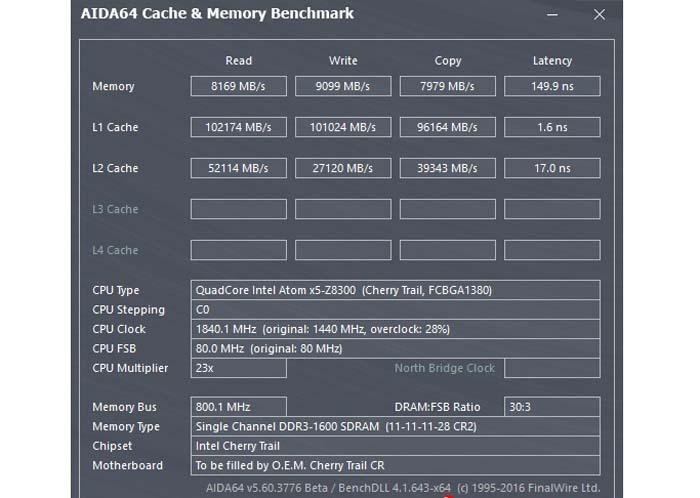 By software detect, we can know that the X6S use 4GB DDR3 1600 single-channel memory, which has a 10.6GB /s theoretical speed for reading and writing. Then is the hard disk performance test. 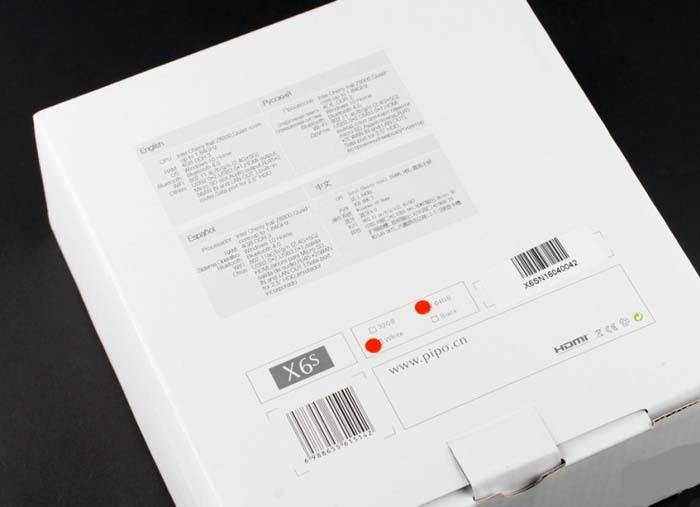 PiPO X6S uses eMMC hard disk, which has a relatively strong reading performance, but general writing speed. 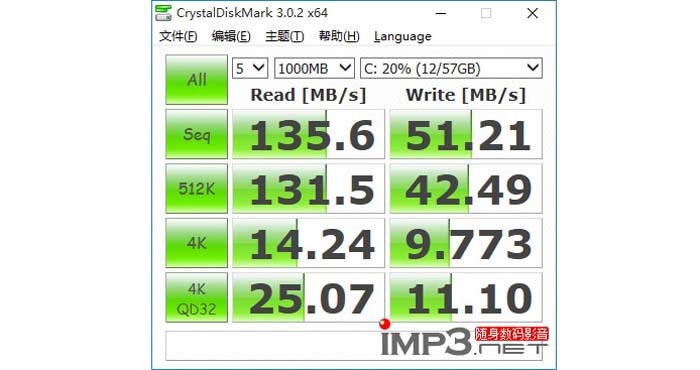 If installed with a 2.5-inch hard disk, especially the SDD hard disk, the reading & writing speed should be improved significantly. 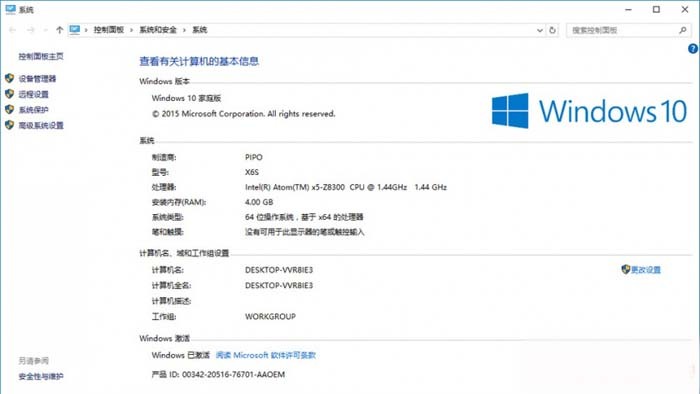 If the system is also installed in the hard drive, the overall performance should have a big upgrade, which is the special advantage that Win 10 tablets will not have. Last we conduct a 3DMark 11 test on this device. 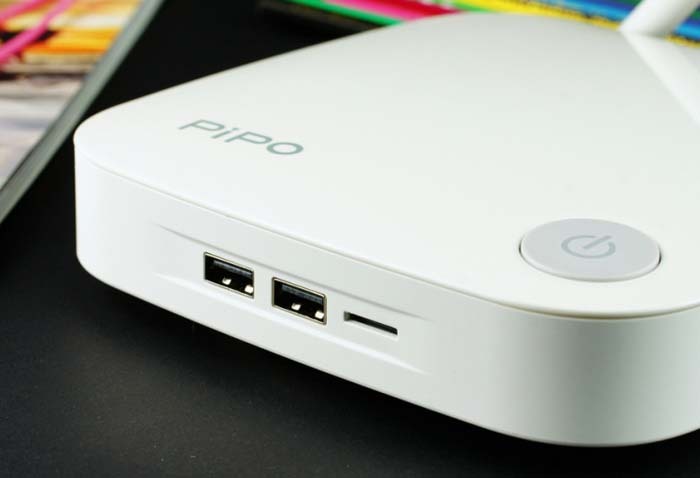 Pipo x6s is integrated with Intel HD Gen8 Graphics, has 12 EU units. The Graphics Specifications can reach up to the specs as the notebook or a computer. 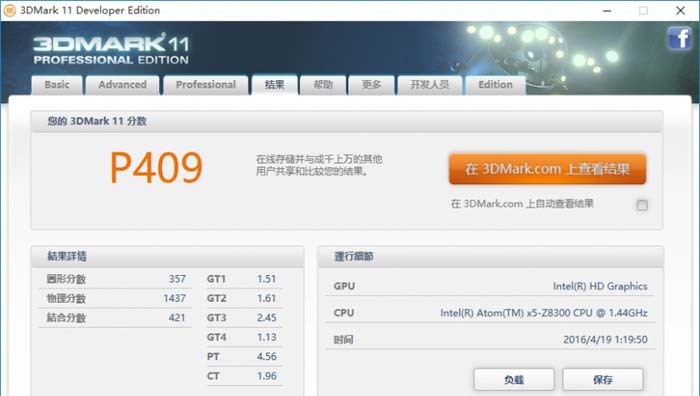 As for the practical test, it gains 407 scores at the P model of the 3DMark 11 test, which is sure to have a higher score among the same Intel X5 Z8300 device. 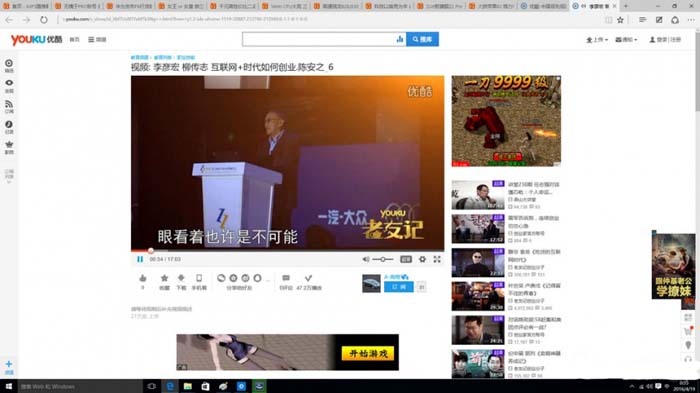 On the other hand,it has appropriately lowered down the resolution and the picture quality, which can meet the demands for the LOL and other popular online games. At the same time, one of the biggest advantage of this device is the faster hard disk speed and larger spaces, you no need to worry about the game performance for the lack of storage of your C disk or installing the games on your TF card. 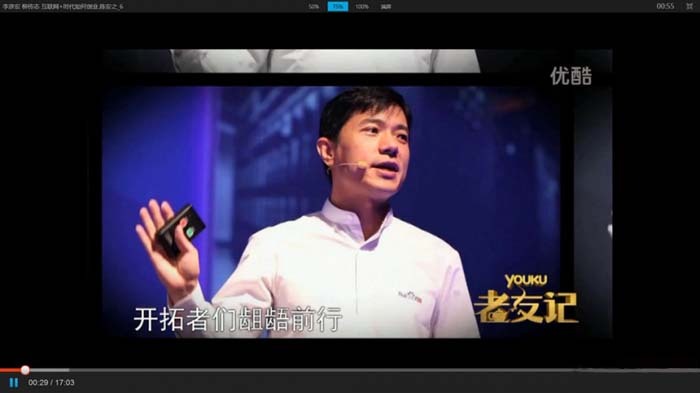 As a mini PC TV Box, the video playing is one of the main function of this X6S. 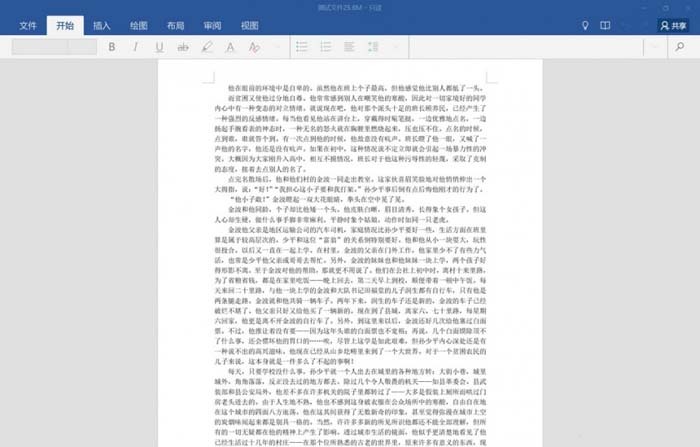 It is very suitable for Text Office, small size, low power consumption, and the performance can also support the word processing. However, it is not pre-installed with 360 Office kits, people needed can install by yourself. Intel X5 Z8300 processor adopts the 14nm process, which has a very low power consumption, continuous powering on for 10 days, it only take about 1 degree consumption. 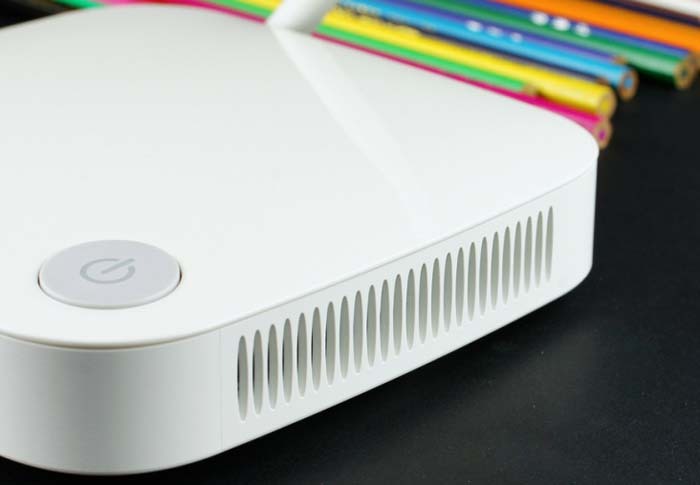 At the same time, the heating power is also low, no need active cooling. When browsing webs, processing words or playing 4K videos, the CPU temperature is generally 60 degrees. 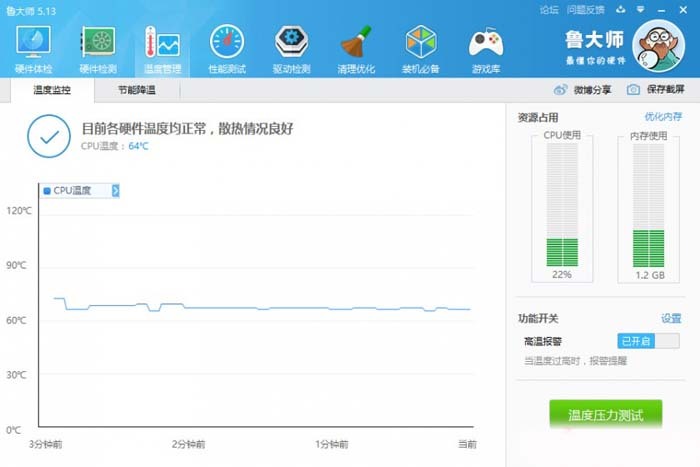 And it will reach up to over 70 degrees when conduct the 3DMark test other performance tests. 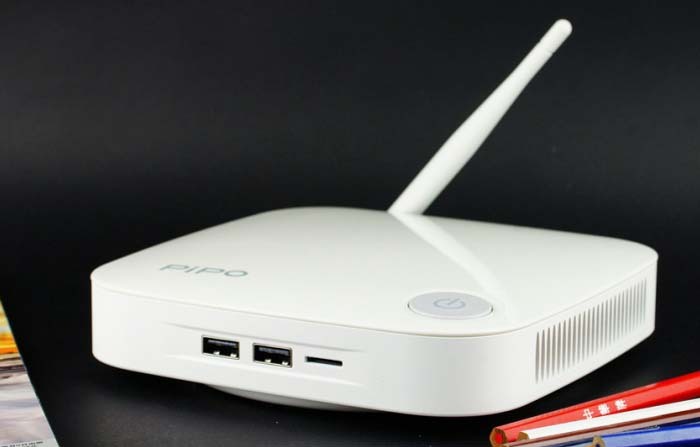 PIPO X6S can been taken as a family PC of the mini TV Box, and can be also taken as a tablet pc while has no screen. However the form is different, which also make it equipped with new features. 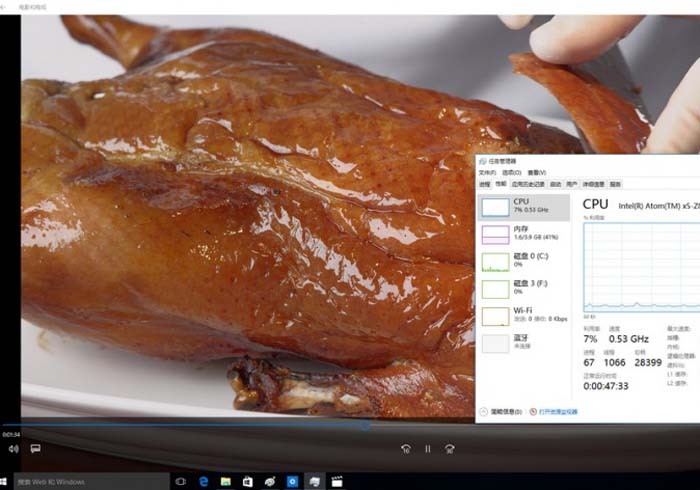 Compared with the traditional PC, X6S has smaller size, lower power consumption. Once compared with the tablet PC, though having a similar configuration and performance, the no screen and battery design will limit the use scope. While it has more USB ports, and can instaa 2.5 inch hard disk at the same time, to make up the less storage and slower reading & writing speed problems. 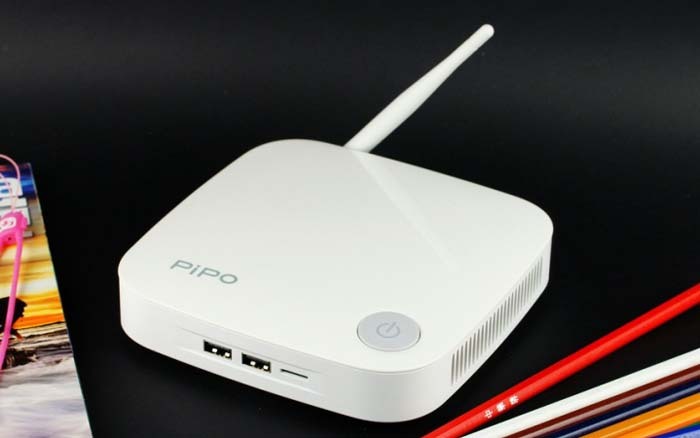 In total, PiPO X6S Mini PC TV Box is sure to be a very worth considering production as an audio and video computer for living room, download machine and as an office computer.